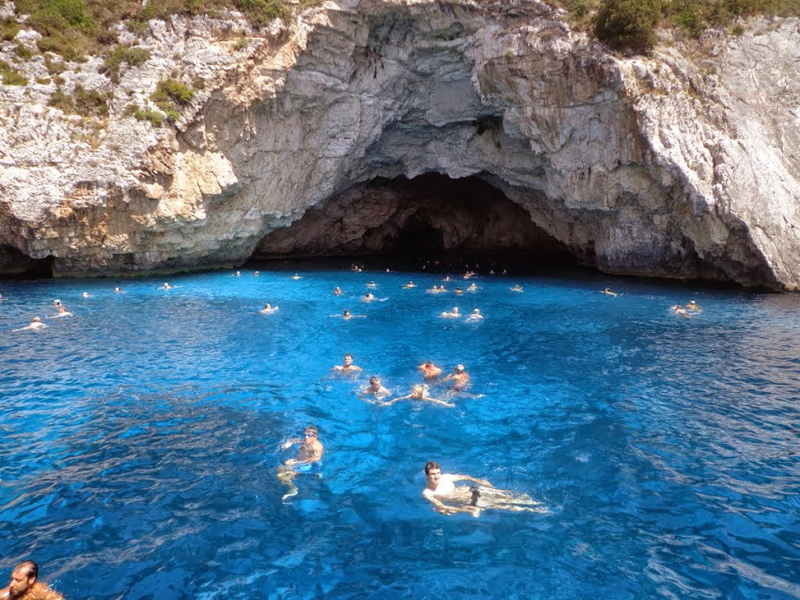 Use the form below to contact tour Paxos and Antipaxos - The Blue Caves Cruise directly. 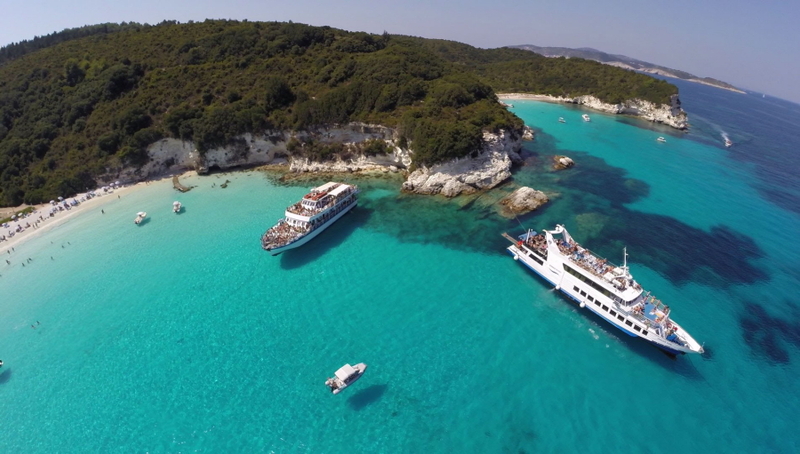 On this cruise you have the opportunity to visit three wonderful places, the island of Paxos, the small picturesque islet of Antipaxos, and the famous Blue Caves of Paxos, situated close to the southern coast of Corfu. On departing from Corfu harbour, you will have a unique view of the old town, which is located among the two Venetian fortresses. Heading towards the south of the island, you will see the Kanoni peninsula and the palace of Mon Repos, where Prince Philip was born. You will also view the tourist resorts of Perama, Benitses as well as the southern part of Corfu – Kavos and Asprokavos. Approaching the channel between Corfu and Paxos, you will see right and straight ahead the green island of Paxos covered with olive and cyprus trees. It’s up-market reputation continues today as millionaire yachts sit at anchor alongside local fishing boats. 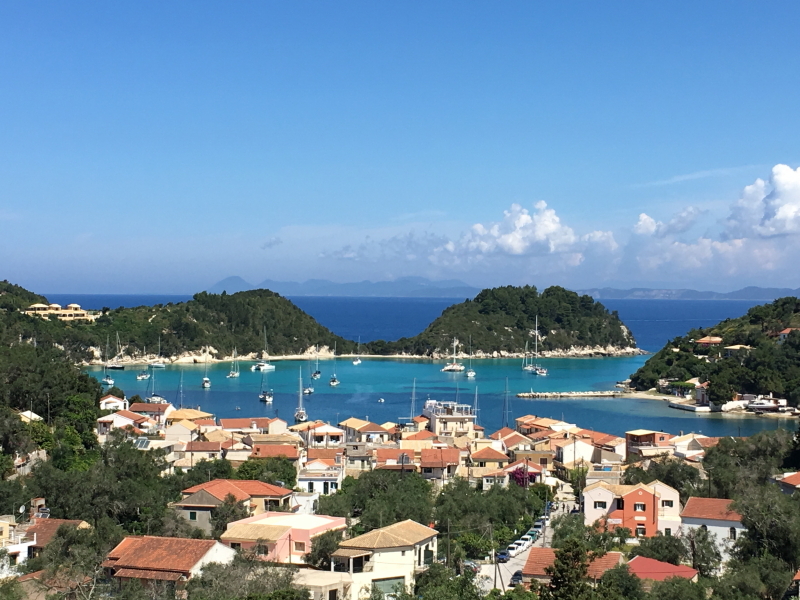 Our first stop will be at the small, but perfectly formed island of Antipaxos, whose sandy blue water coves have been compared to the Caribbean ones. 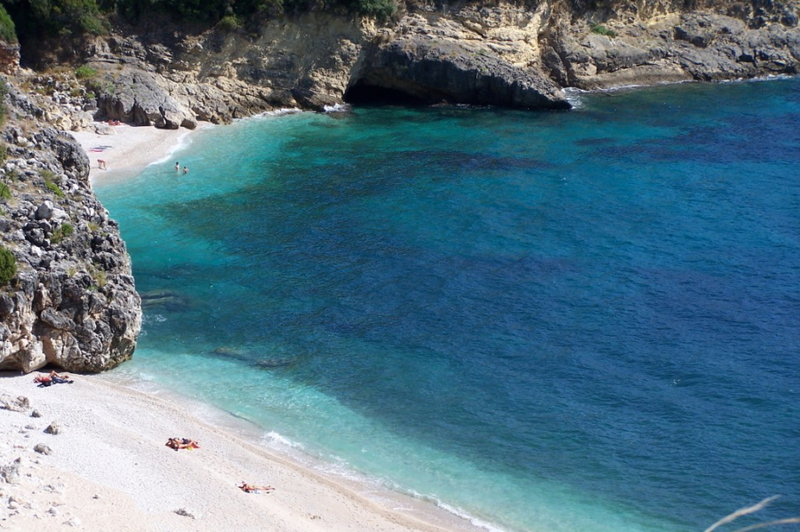 Here you will have the opportunity to swim in the crystal waters of the Paradise beach. We will anchor by the beach of Antipaxos where you will have 1 hour and 10 mins to swim in the crystal clear waters. 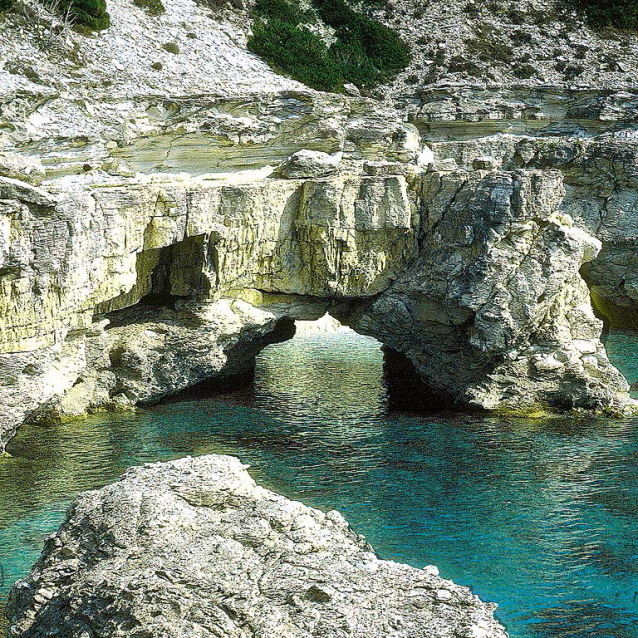 The next destination after Antipaxos will be the steep beach with the vertical cliffs and sea-caves (BLUE CAVES). The boat makes a grandiose entrance in the cave where the shade of the water from light blue to turquoise and emerald will be something to remember for ever. The cruise will then be continued to Paxos. On first approach to Paxos , you will see on the left hand side the beautiful port of Laka. You will continue sailing south along the west coast of the island, enjoying the impressive rocky coast line and the unique white sandy beaches. After entering the narrow channel, which leads to the picturesque port of Gaios village, we will see the breathtaking view of the two islands Panagia and Agios Nikolaos. We will moor close to the centre of Gaios village, where you can easily walk through the wonderful narrow streets and enjoy lunch at one of the traditional tavernas or take the optional minibus tour, which will travel you through the entire island accompanied by our guide. We will sail back to Corfu alongside the southern coasts of the island enjoying some breathtaking views. You will arrive in Antipaxos at 11.40 where you will have 1 hour and 10 minutes free time for swimming. After that you will visit the BLUE CAVES for 20 minutes to see the view, the colours and take photos. Then you will visit Paxos Island for 2 hours free time for launch walk e.t.c. Waterproof camera, video camera, swimming suit, mask, towel, sun oil, glasses, hat, comfortable shoes or sandals. The latest 24 hours prior to the travelling day!